If it ain’t broke..... it probably soon will be. Hi all, just wondered if I could grab some advice. I’m in the process of trying to find the ideal MK 7.5 Gti performance. I test drove one yesterday and loved it. I left and watched a few video reviews, the 2 I watched mentioned that the dynamic chassis control was a must have on the 19’s or the ride was jarring. Can anyone confirm or deny? I’m struggling to find the right one as it is, adding DCC is gonna make it even more of a task. I agree with Watts. There is absolutely no consensus on this subject whatsoever. It's purely down to what is acceptable to you. DCC will improve the ride in comfort mode, but I find the ride in my car with 18 inch wheels and no DCC to be acceptable. So I have no regrets about not speccing it. That said I haven't tried a car with 19's. Many thanks for that, I’ll go check out the other forums. Things can be very much personal preference but what I didn’t want see was 100 people saying ‘you must have the DCC’ so I’m pleased about that. I’m in a 8P Audi S3 at the minute so I’m used to having a rougher ride anyway! I run stock 19s without DCC and I think the ride is perfect for me and I won’t be speccing it on my next car. When I first started looking for a Golf in April/May last year there were a few used ones around to choose from, but nothing with any decent spec. Due to this I placed an order for a brand new one at the start of the summer thinking I would continue to look for used in-case something came up. The delays on my order started and when I eventually cancelled my order mid way through the summer I threw myself into the used market significantly all the way through to December (when my car actually surprisingly turned up.). If you want a used one with DCC then from my experience unless you are VERY lucky you don't stand a cat in hells chance finding the car you 'want'... that is unless you are open to making a serious compromise on spec/colour. In my time searching I could count on one hand the number of DCC equipped GTI's that came up on the used car locator, but even when they did they were ex-demos or not close spec wise to what I wanted. My three no compromise must haves were DCC, Dynaudio, and Leather or Art Velour, and I wanted Isaac Blue or Indium. All the DCC cars I saw were Black and/or didn't have Dynaudio. I test drove a non DCC car (on Brescias) on a part of the long journey I do, and after 25mins my back ached badly, specifically in the area where the manual lumbar support was. I put the aching down to a combination of a few things; No DCC and 19's transferring the bumps and lumps into the manual lumbar support which sat right in the middle of my back. Off the back of that test drive I also added the electric seat with 4-way lumbar. Now I have DCC and covered over 1000miles, I can say it's brilliant, exactly what I had hoped for. Whilst I suspect most would spec DCC for it's sporty ability, I specced it for the "comfort" setting I can switch the dampers into, this is due to the type of driving I do. 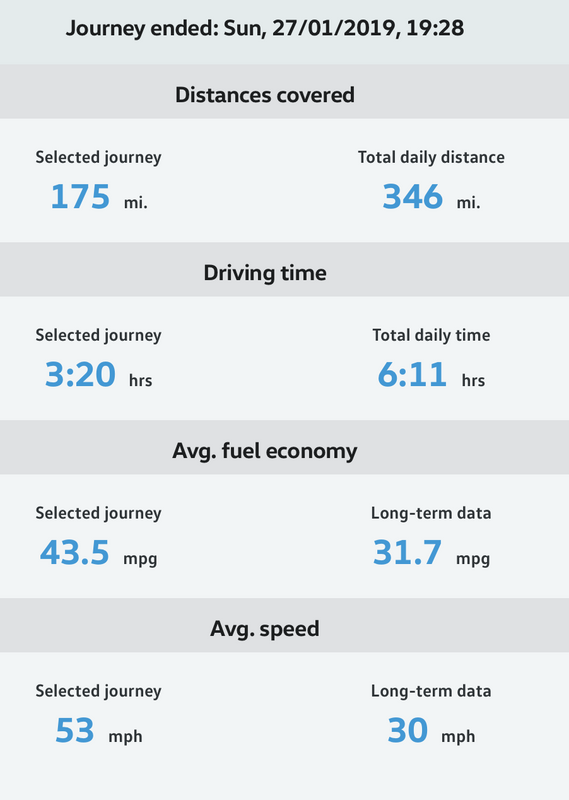 Amongst the normal a/b-road basting, I mainly do two types of trips, short(ish) trips around London's pot-hole and speed bump laden roads, plus I also do 2x 400 mile round trip motorway journeys each month where i just need to cover long disatcens in the most comfortable way possible. Having had adaptive dampers on previous cars I pretty much knew that I would need it on the Golf, and it doesn't disappoint, even when just switching between "normal" and "comfort" it is a drastically noticeable difference, the car becomes a comfortable cruiser and irons out every bump/lump in the road. DCC gives you a real Jekyll and Hyde car. To throw some further thought into the mix, I test drove a CS with DCC that was on the 18's, and that wasn't bad either. Some say that 18's make a huge difference to needing DCC or not, but ultimately it'll come down to personal preference and what your tolerances/situation is. So IMO your need for DCC will come down to the type of driving you do, how many miles, and the types of roads you will be on. ... when I'm in the car for such long periods of time I am really glad I specced DCC. I just want to get home with as little fuss and as much comfort as possible, it's just the push of a button. No regrets from my side. On paper £850 is a lot of money for an option you may not need, but at the same time it's not a lot of money if you were to not spec it and then regret it in the long term. My advice is to try and drive a DCC equipped car along some roads you know you will be using. Switch between comfort, normal and sport, and then see how it feels. As a benchmark a non-DCC equipped car's suspension comfort/stiffness sits somewhere in-between Normal and Sport on a DCC equipped car. Or failing that simply find a non-DCC car and see how it feels. Agree with the above from kmpowell. I've just returned from my DCC equipped 7.5 GTI's first long trip. I was utterly blown away by the car's cruising capability with the DCC set to comfort. 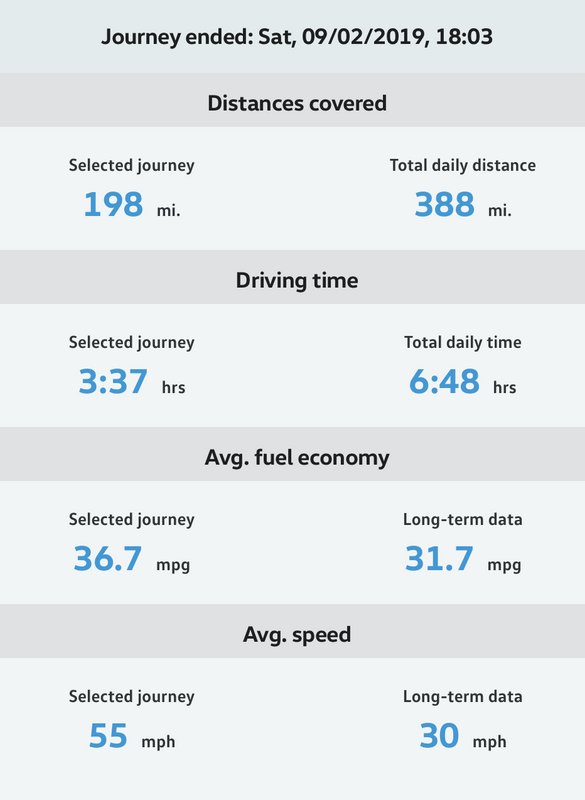 No complaints from SWMBO, which was a first  And 46.4mpg ave! A phenomenally capable and economical mile muncher in comfort mode. Then, when alone, press the sport button and voila, a different car. Personally, I think if you can afford to spec DCC, you won't regret it. 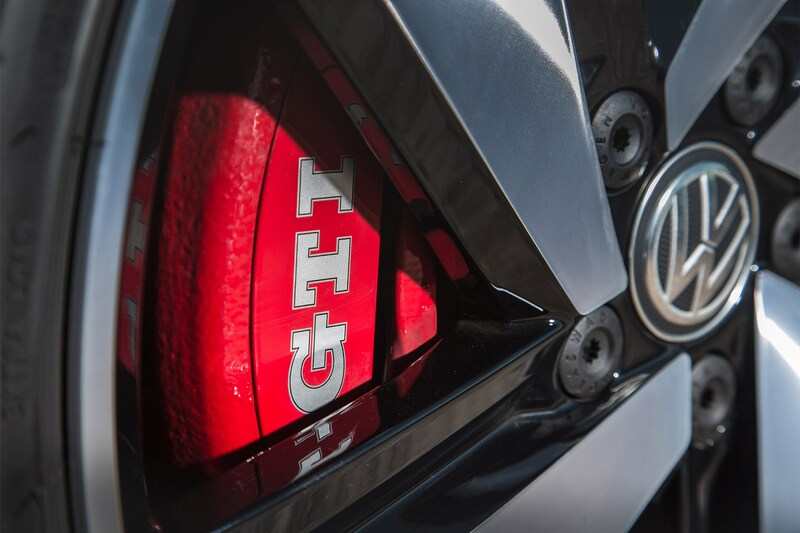 But the GTI is still a brilliant car without. 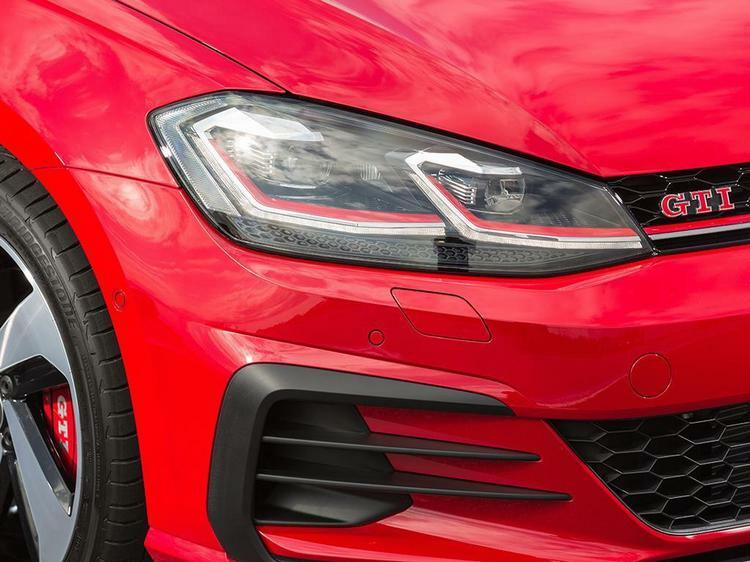 1972 Turquoise Superbug S; 1978 Miami Blue Golf GLS; 2007 Mk5 Tornado Red Golf GTI; 2017 Golf 7.5 Trendline Tungsten Silver 1.4ltr 110TSi with DAP; Current = 2018 5dr Tornado Red GTI with DAP. All MT. Plenty of people here will say the Golf does not NEED DCC. That is their preference. They are driving on good roads and/or like their suspension firm. I drive on bad roads and like my suspension comfortable. Even my wife didn't like the standard suspension. DCC was the only 'must have' feature for me. I made that clear to the dealer. As mentioned, a lot of that is to personal preference, which varies greatly. If you read reviews of GTI in magazines (online), you will see that most reviewers say that it is the number 1 option one should specify. Some prefer the panoramatic roof, other 19" wheels. I have specified them on my GTD and later on my GTI PP and I am incredibly pleased. Would not want it without it. For long drives in motorway it is amazing. 2018 Golf GTI PP White Silver; DCC, Discover Pro; Lane Assist & DLA; Parking pack; Climate windscreen; rear tints.